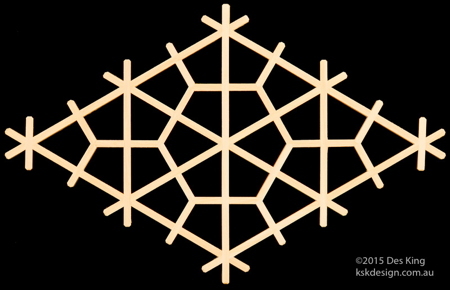 This new pattern is called the tsumi-ishi kikkō (積石亀甲). 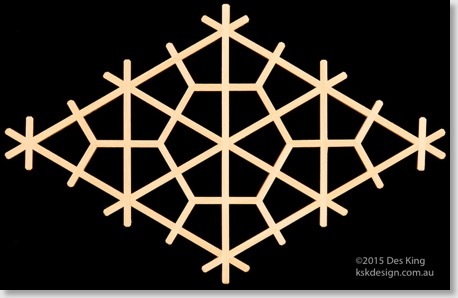 Tsumi-ishi means piled rocks, and in this pattern, the repeating hexagonal shapes take on the appearance of rocks stacked on top of each other. This is one of the simpler patterns for Book 3, but there's still enough of a challenge in cutting and trimming accurately to keep you on your toes.